Over the weekend, I went with a friend to see Verdi's Stiffelio at the Metropolitan Opera. Placido Domingo conducted after having sung a baritone role in Verdi's Simon Boccanegra the night before. As my friend and I - a mother of two boys - talked during the intermissions, she mentioned that her youngest, who is seven, has been reading the periodic table. Talk about an interest it the basics of life! I thought about this when a book arrived in the mail today. If there is an equivalent to the periodic table for singers, it is the important but largely forgotten book A Concise Biographical Dictionary of Singers from the Beginning of Recorded Sound to the Present, Kutsch & Riemens, ('62, '66, '69). A Concise Biographical Dictionary was translated from the original German by Harry Earl Jones. At the time of its first publication, it was the only English language book to give the reader basic - one might say elemental - information on every famous artist who made recordings. What is elemental information? Who studied with whom, what they sang, where the sang it, and with whom- a huge circle of knowledge. Though one can now use sources like Wikipedia to find this kind of information, these databases aren't available in a form that makes for browsing- an important matter itself. How I loved digging through the CD's at Tower Records on Broadway near Lincoln Center - I found revelatory singers I didn't know about. Sadly, Tower Records is no more. And libraries are taking this book off their shelves (I first poured over this 487 page book at the New York Pubic Library). I know this from finding one at Abebooks.com. The majority of listings are ex-library books. This is good for the interested reader, who can probably find a copy of this out-of-print book as inexpensively as I did. But is it good for the new generation of singers? 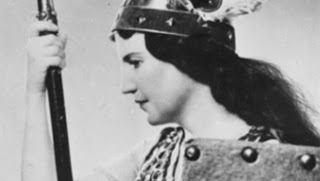 I think about this after repeatedly hearing colleagues report that graduate school soprano's don't know who Kirsten Flagstad and Joan Sutherland were. A Concise Biographical Dictionary of Singers is a window into a wondrous world. Reading about these singers makes one want to listen to their recordings. And that is a real education. Great post, Daniel (as always) -- thanks! (And to my shame I haven't yet read this book. But: If you speak German, you must get the fab book by Jürgen Kesting on all the great singers called "Die Großen Sänger"; what a delight to read the longish essays on each. And then there's the more outdated but no less enjoyable "The Last Prima Donnas" by Lanfranco Rasponi -- bliss. Oh, and I too miss Tower Records. In Seattle, they had the best classical department; very fond memories of making all sorts of discoveries there at 18 and 19. Micheal- You are so right: Kesting's book is a gold mine. the "Großes Sängerlexikon" by Kutsch&Riemens has expanded ever since and is still available in German. Its newest edition (2003) has seven volumes and more than 5000 pages. But if you want something more comfortable, you can still buy the penultimate edition of 1997/2000 with 14.500 entries as a CD-ROM (PC & Mac) new for just about 10 Euro on amazon.de marketplace. Thank you for your comment. I check the latest edition often, but have not, as yet, gotten the CD-ROM version. Thank you for visiting VoiceTalk. Saw that you just cancelled your tour. Feel better!